Computer data storage, often called storage or memory, is a technology consisting of computer components and recording media used to retain digital data. In addition to local storage devices like CD and DVD readers, hard drives and flash drives, solid state drives can hold enormous amounts of data in a very small device. Cloud services and other new forms of remote storage also add to the capacity of devices and their ability to access more data without building additional data storage into a device. An explanation of how using Rack Scale Design solutions enable a flexible IT architecture for companies, assisting in the better management of their IT assets. 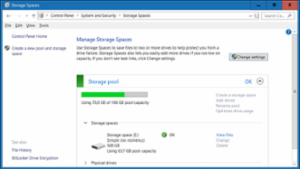 This article details my method on how to store a virtual drive on cloud storage, such as Dropbox, without having synchronisation and indexing issues. The most critical task of Exchange Administrators is to prepare for situations where the unprecedented failure of database impacts the accessibility and reliability of Exchange database. These preparations should include pre-defined responses to unexpected failures and service disruptions. Know How to Backup OST to PST in Outlook 2016, 2013, 2010 with 4 Archiving Methods. 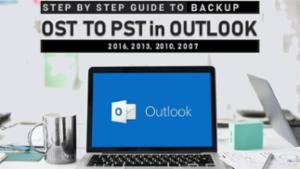 This will enable you to backup OST file to PST with & Without Outlook Installation. Thank you for the informative article, its really appreciated. Overview of Mailbox in Exchange Server 2013/10/07. Mailbox such as User Mailbox, Legacy, Shared, Resource, Room, Equipment, Linked, Disconnected is created in Exchange Server. Also, Arbitration, Discovery Mailbox, Mail Contact & Mail User used to data in Exchange with Public Folder and Site Mailbox. 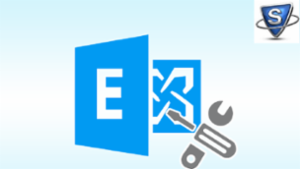 Know how to repair Exchange Database of 2016/ 13/ 10/ 07 using eseutil /p, /r, /d Powershell commands. Also fix Dirty Shutdown and Event 501, 533, 1216 ID Error using inisteg and New-MailboxRepairRequest to repair Mailbox Database of Exchange 2016 /13/10/07 and other below versions. 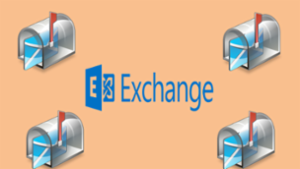 Facing Exchange Server mailboxes is really difficult to handle, but by using exchange server recovery tool, you can easily fix the issue very easily. The tool is well equipped to deal with (in dealing with) Exchange disasters situations. You can restore mailboxes from any of the backups created at any point of time, even the ones created using third-party backup tools. If Exchange database is in clean shutdown state, then move Checkpoint file and all Log files to a different folder and try to mount the Exchange database. If the database is in dirty shutdown. You should restore the database from backup. Or you need to repair the database from using Eseutil/p command. 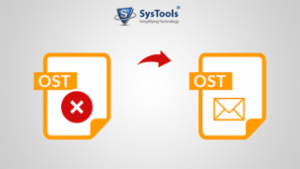 This blog will provide a brief information about OST file and a reliable way to repair Outlook OST file. Along with this, we will also learn certain reasons for OST corruption. SysTools OST Recovery Tool is also discussed to carry out recovery of corrupted/deleted OST files effortlessly. 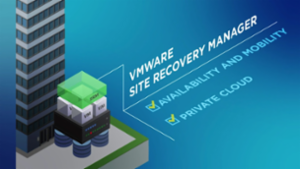 HOW TO: Validate the HP 3PAR SRA Software certificate in Site Recovery Manager version 5.8. 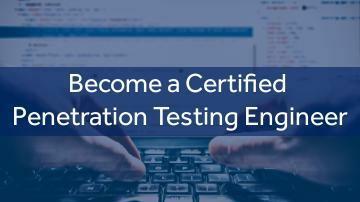 The article describes step by step how to validate the SRA software certificate once installed on the Site Recovery Manager server. I hope it will be very useful for all administrators of virtualized environments. Exchange Mailbox Database Offline due to disk errors - How to repair? Disk errors can be the source of sundry problems for the Exchange server, the most common one being that the database fails to mount. • Easily converts EDB to PST files &Restore deleted mailboxes directly from EDB file. • It is compatible with all MS Outlook 2000, 2002, 2003, 2007, 2010, 2013 and latest 2016. • It compatible with all the windows OperatingSystems like Windows XP, Vista, 7, 8, 8.1 and 10. • Also, it provides recovery of all the attachments including contacts and calendar. EdbMails EDB to PST Converter is the only available software which allows you to convert and export Online as well Offline, both, EDB file to PST format. How to prepare for Exchange Server Downtime? Organisation is organized in a pattern to flow the day to day business, every application and system is interdepended on each other and when very important “Exchange Server downtime” happened. The following article sheds light on easy-to-use steps to recover non-responding hard drives without data loss. 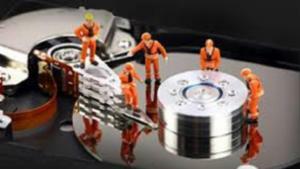 Count on these approaches to fix undetectable, not responding, or non-working hard drives. What is the biggest problem in managing an exchange environment today? It is the lack of backups, disaster recovery (DR) plan, testing of the DR plan or believing that it won’t happen to us. Among the most obnoxious of Exchange errors is error 1216 – Attached Database Mismatch error of the Jet Database Engine. When faced with this error, users may have to suffer from mailbox inaccessibility and in worst situations, permanent data loss. 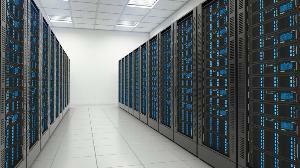 How Much Do You Know About the Future of Data Centers? 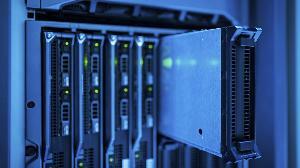 How much do you know about the future of data centers? If you're like 50% of organizations, then it's probably not enough. 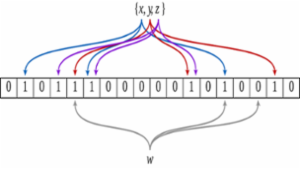 Read on to get up to speed on this emerging field. Windows Server 2003 introduced persistent Volume Shadow Copies and made 2003 a must-do upgrade. 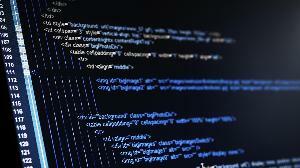 Since then, it's been a must-implement feature for all servers doing any kind of file sharing. I would add that you REALLY SHOULD store snapshots on a separate volume. The reason is that Windows may DELETE your snapshots stored with the parent volume during high disk IO. 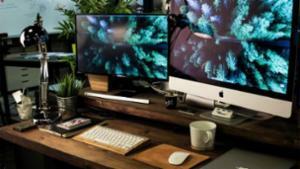 Imagine you have a large restore to do on your file server, so you do a smaller test restore first. It works, but the act of restoring creates so much IO that the other snapshots get deleted...the same snapshots you were about to use to restore from. Ouch! I have heard about it happening. 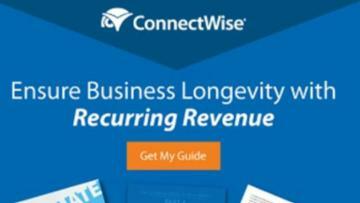 It's the first best practice Microsoft lists. "BUT WAIT! Before enabling, if you want to place your copies on a different volume or better still different physical disk (recommended for heavily used file servers), you need to click on the settings button before any copies are created (enabling a volume will instantly create a copy)." 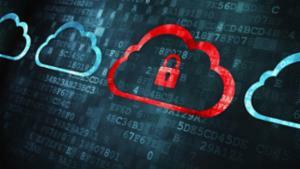 Compliance and data security require steps be taken to prevent unauthorized users from copying data. Here's one method to prevent data theft via USB drives (and writable optical media). A look at what happened in the Verizon cloud breach. I was able to do this easily last night by logging into my Verizon account online and going to settings to change the PIN. I didn't even have to call customer service. 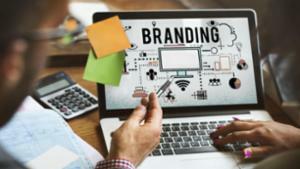 The business world is becoming increasingly integrated with tech. It’s not just for a select few anymore — but what about if you have a small business? It may be easier than you think to integrate technology into your small business, and it’s likely to be worth the investment. 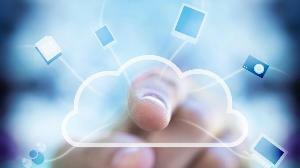 Many businesses neglect disaster recovery and treat it as an after-thought. I can tell you first hand that data will be lost, hard drives die, servers will be hacked, and careless (or malicious) employees can ruin your data. iPhone Storage Full? Try this quick fix to solve your problem. 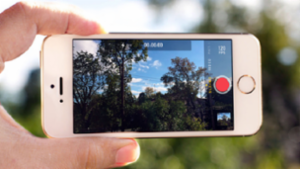 Is your phone running out of space to hold pictures? This article will show you quick tips on how to solve this problem. HDR photos are the same size as a normal photo, they're just enhanced so they shouldn't affect storage unless you keep the original as well. Even selecting optimized photo roll will use space on your phone. It's just that the phone will modify the size of the cache according to how much space there is available on your device. e.g. on my Android, Google Photos has a 500mb cache. Iphone. Whatsapp backup. Google. Free and unlimited media storage. By installing Google Photos on your iphone, you will be able to backup all your iphones media, including your Whatsapp Folder/Album (Photos, Videos, Voicenotes, GIF's). You wont need to buy extra storage for Google Drive, becuase Google Photos has an option for unlimited storage, so this does count against your default Google Drive space. If you choose to backup your Whatsapp media (Photos, Videos, Voicenotes, GIF's) this way, you can still backup your chat database to icloud, in your whatsapp settings, you can choose to backup chats without videos, so you wont use up your up your icloud storage space, by duplicating videos already backed up with Google Photos. Google Photos also has an assitant to help you remove media on your device that has already been backed up, this is optional, but helpfull if you need to recover storage space on your device. 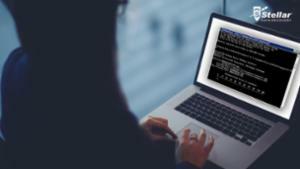 You will need a data connection or wifi access to access your media files, or just choose for offline access for selected media files. The question appears often enough, how do I transfer my data from my old server to the new server while preserving file shares, share permissions, and NTFS permisions. Here are my tips for handling such a transfer. Guys, if you'd like to suggest alternatives, please do. but simple comments without any explanation, like "use robocopy" is not helping anyone. I acknowledge robocopy... but it's just one way that is not perfect. And Method 3 covers robocopy and other third party utilities. If you think Robocopy (or GS Rich Copy 360) is best, PLEASE, provide a reasoned comment to explain why so that I and others can understand. Explain why they are the perfect utility for all circumstances - or acknowledge the circumstances that aren't good... or better still, right your own article and I don't object a link to it as a comment here. 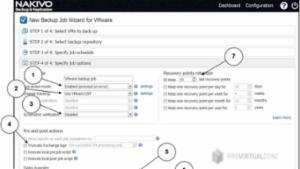 In this article we will learn how to backup a VMware farm using Nakivo Backup & Replication. 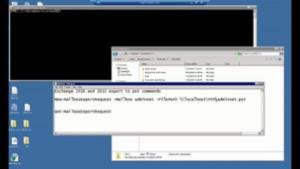 In this tutorial we will install the software on a Windows 2012 R2 Server. Each year, investment in cloud platforms grows more than 20% as an increasing number of companies begin to transition to virtual storage and operations. Moving to remote cloud servers comes with many benefits, including three important factors needed as a company grows: scalability, shareability, and a larger communication scope. Cloud operations remove the worry of updating servers if storage needs change or the company expands and moves. Files and documents are also accessible from any location and any device with the right log-in information. The rise in popularity of SaaS and PaaS services has a lot to do with new, innovative companies offering customizable solutions to everyday corporate and technology needs, such as lead generation maintenance, process funnels, and payment chains. 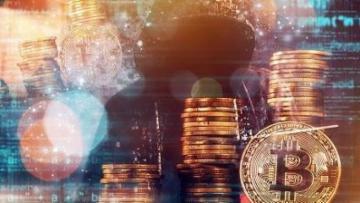 This sudden popularity, however, not only receives attention from investors and developers, but hackers.